Does the price change depending on tint shade? No. The shade of tint does not affect the price. What are the differences between the 3 tints? 70% is legal. Which means 70% of the light passes through the film. This is the lightest film. Are darker shades more difficult to see out of? Yes. The darker the film the more difficult it becomes to see in or out. This is more noticeable at night time. Does the tint go on the inside or the outside? The film goes on the inside of the glass. How long does tint last? What happens if the tint starts to bubble and discolor? We warranty our work for as long as you own the vehicle. Can I wait for my car? Yes. We can accommodate waiting appointments as long as you let us know when you schedule the job with us. Yes. We generally book appointments one day in advance. 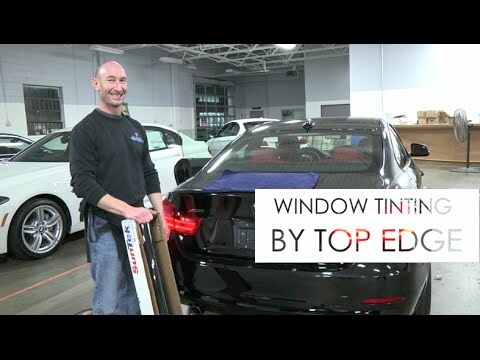 Click here to learn more about our car window tinting and paint protection film services.